The week’s theme for the Top Ten Tuesday meme by The Broke and the Bookish is Top Ten Underrated/Hidden Gems That I Have Read Recently. Therefore, the following picks are books I read in 2016 that I really enjoyed but didn’t hear/read anyone else really talking about. So, if you haven’t read any of these, I suggest you may want to check them out. A great story about the complicated relationships within families, as well as a really sweet romance between two unlikely people. This is probably my favorite book of 2016 and I can’t believe that more of you fantasy lovers haven’t been talking this one up. If you like fantasy, you’ve got to check this book out! This is a book about one man’s struggles with life, love and relationships. I had never heard of Charles Martin before reading this book, but I enjoyed this book enough that I will be checking out more books by Charles Martin, who has written quite a few. If you like good YA fiction with strong female characters, you’ll enjoy Dauntless, but don’t stop with that one. Read the other two books in the serious as well: Chivalrous and Courageous. I don’t see a lot of hype ever talked up about these formulaic romance stories, and I am not a big fan of them either. However, Kissed by a Cowboy by Debra Clopton is a great romance story with lots of good characters. This is the first steampunk book I have ever read and I really enjoyed it, and can’t wait to read the rest of the series. Do any of the rest of you read any steampunk? I haven’t seen any on any of the blogs I’ve visited. 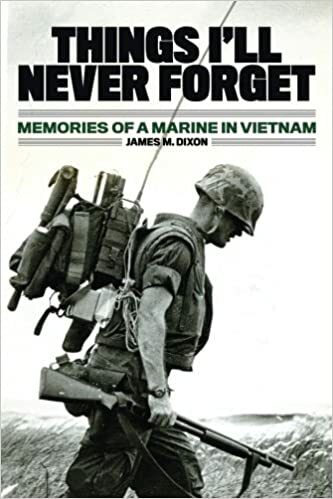 Not my usual genre, and I’m not a big fan of books with violence and profanity, but this book was written in such a personable way about the life of a Marine in Vietnam, that I really did enjoy it. 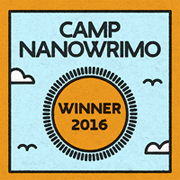 I had difficulty putting down until I reached the end. I know we’re supposed to do ten, but I cannot honestly think of any more books that I read in 2016 that haven’t received a lot of attention and hype. Unblemished and Dauntless both sound good. I do like steampunk but it’s a bit hit or miss for me, kinda like urban fantasy- when I like I often really like it but it doesn’t always work for me either. I think I kinda like it in the background, not too out there if that makes sense- it’s subjective I guess. 🙂 Nice list! scheduled to release on July 11th of this year! Nice list of books. I have Lady of Devices in my ‘TBR’ Pile…. Maybe, I should be moving that one up! Oddly enough, because it’s not the style of book I’d normally pick up, I also like the look of Things I’ll Never Forget. Steampunk – you could try the Gail Carriger series – she wrote the Parasol Protectorate and then another spin off series about a character called Prudence which has good reviews. If you want something that’s almost comic book style (without being a comic book) Agatha H and the Airship – very funny or Cherie Priest’s Boneshaker. I’m going to check out your Lady of Devices book. Yes, Things I’ll Never Forget is not normally something I would read either, but I know quite a few men who served in the Vietnam War and have always been curious about it because they don’t want to talk about it, and I thought this book was very well-done without being overly graphic or profanity filled, and the author’s style is conversational and personal. It drew me in and kept my attention until the end. Thanks for the steampunk info. I’ll have to look some of those up. 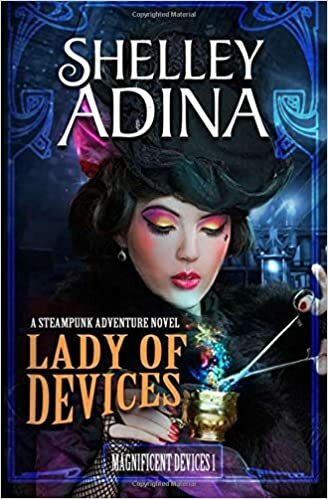 I think you’ll like Lady of Devices. As you saw on my own list, I really liked A Portrait of Emily Price too! I’ve also read Dauntless, and thought it was an interesting take on the idea of Robin Hood.